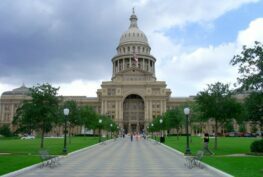 The 85th regular session of the Texas Legislature came to an end on Monday, May 29, 2017. 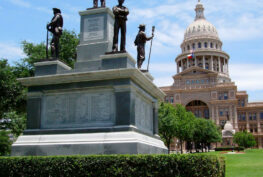 Though Governor Greg Abbott has yet to decide whether or not to call a special session to cover any remaining issues, the state budget (Senate Bill 1) has passed and the fate of the TRS-Care retiree health insurance program has been decided, for now. As members of the Texas Retired Teachers Association (TRTA) have been reading throughout the past five months, sweeping structural changes to TRS-Care are about to begin. As of January 2018, the plan as we know it today will change. While this situation may not be all that everyone would want, it would have been much worse if TRTA and thousands of retirees had not been so active and vocal this session. Without a doubt, your efforts made a difference and prevented premiums from skyrocketing to $1,500 per month. Many state programs received no new general revenue or had budget cuts. Retirees received new money in general revenue as well as additional supplemental general revenue. While we have reported on projected changes to the plan, some final decisions still have to be made by the Teacher Retirement System of Texas (TRS) Board of Trustees. The TRS Board begins meeting later this week to review the budget that has been approved by the Legislature, which calls for approximately $484 million from the state and school districts to help cover the $1 billion TRS-Care program shortfall. Public education retirees, as well as their spouses and dependents, will have to pick up the other $516 million of the shortfall through higher premiums, out-of-pocket costs, and benefit reductions. Some of the biggest changes expected as a result of this session’s TRS-Care reform legislation include huge cost increases for spouses and dependents using the plan. These changes will go into effect in January 2018. For 2017, TRS will run a long plan year, meaning deductibles will not re-set in September for current participants. Deductibles will re-set when the new plans go into effect in January. TRTA currently is working on finding options that spouses and dependents may be able to use in place of TRS-Care. Legislators make decisions on program funding by considering numerous variables. Most legislators see TRS-Care as an ongoing appropriation and chose not to use the Rainy Day fund to help TRS-Care. TRTA supported the use of the Rainy Day fund to help offset the impact of changes on retirees. TRTA also pressed the need for increased appropriations that can be counted upon every session. The increased state and school district contributions to TRS-Care do provide an ongoing rise in revenue. Members, we have received hundreds of emails, some with very specific personal scenarios, and we hope to answer them in a timely fashion. In the meantime, TRTA has compiled these questions and sent them to TRS to receive clarification and correct information. Please continue to bear with us as we work with TRS to get answers to you. TRTA will also provide a comprehensive update about the changes to TRS-Care in the second quarter issue of our quarterly news bulletin The VOICE, which should be in your mailboxes by late June to early July. We hope to provide as much information as possible for you as you weigh your health care options going forward. Please know that there is still time to assess what options are available to you, as the changes to TRS-Care will not occur until January. We urge caution to anyone considering leaving the plan and encourage you to wait until all information has been finalized this summer before making any decisions that could impact your ability to utilize TRS-Care programs in the future. Many members have emailed us regarding a cost-of-living increase for retirees this session to help offset increasing health care costs. Unfortunately, legislation was not passed this session to give retirees a much-needed raise. TRTA was successful in preventing SB 1750 and 1751 from moving forward in the legislative process, two bills that proposed changing the TRS defined benefit plan to a defined contribution plan for future retirees. 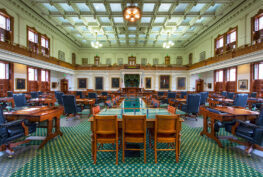 TRTA opposes any legislation that would harm the retirement security of Texas public educators. Despite the changes coming to TRS-Care in 2018, retirees should know that they are a group the Legislature wants to help. That is the power of TRTA: the Legislature values retired teachers. However, the Legislature is made up of many people whose views do not always align with that of TRTA. While we received more money, TRTA stated in public testimony that we need three times more than what we got to keep TRS-Care as it is today. We didn’t get that, but we did get more than most other programs funded in the budget. This is small conciliation to a retiree on a fixed income who has not had a raise in over a decade and is looking at major changes to their healthcare plan, and we do not disagree. It is, though, something to build on as we use our collective strength to prepare for the next session and endeavor to restore TRS-Care to the benefit level we believe is needed to ensure all public education retirees that their healthcare is secure and appropriately funded. Legislative session may be over, but the work to protect the benefits of current and future education retirees in Texas is just beginning. TRTA can continue to work with TRS on final plan design changes, but the most important change we can make together as a unified body of active and retired educators is to understand and never underestimate our power. Now is the time to reach out to other retirees and communicate with them about the changes that are coming. 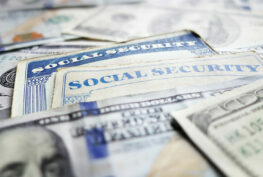 There are many retirees who will be caught unaware by these changes. This is a great opportunity to get them involved with the largest retired teacher organization in the nation: TRTA! This tweet has been shared multiple times! Elections are coming up in Texas and the people who make the decisions about your benefits and their funding will be asking for your vote. Remain active and involved, and never give up your voice at the voting booth! Thank you for your membership to TRTA. Together, we have fought every day of the legislative session to improve benefits for educators. The fight is not over! Now more than ever, we must unite in our efforts, grow our organization, and prove our power through our votes. If you are not yet a TRTA member, please join here. Be sure to read our comprehensive Frequently Asked Questions about TRS-Care here.